Everything needed for a solo performance or to form a marching band. 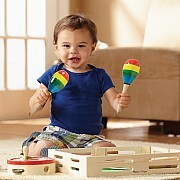 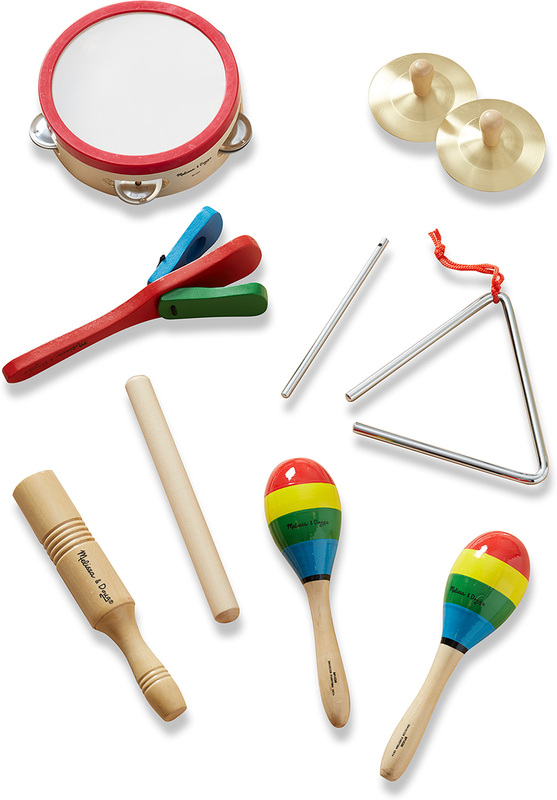 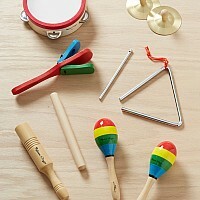 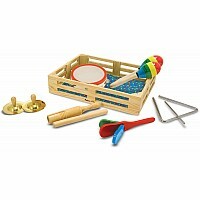 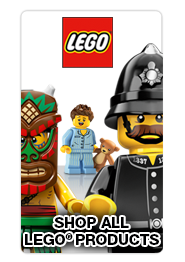 This musical set includes a tambourine, cymbals, maracas, clacker, tone blocks and a triangle! 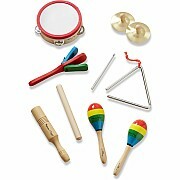 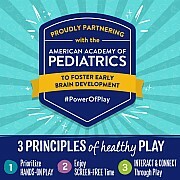 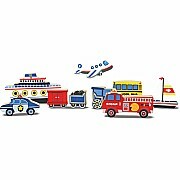 Ideal for involving preschoolers in the musical experience. 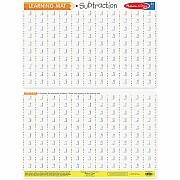 Measures approximately: 14.70 x 11.00 x 3.00 inches..